For three years now, the Manila International Book Fair (MIBF) has had a place in my planner every September. It’s even become a tradition between me and my two friends! This year though, it was just me and Michael since Aya’s in Dubai. 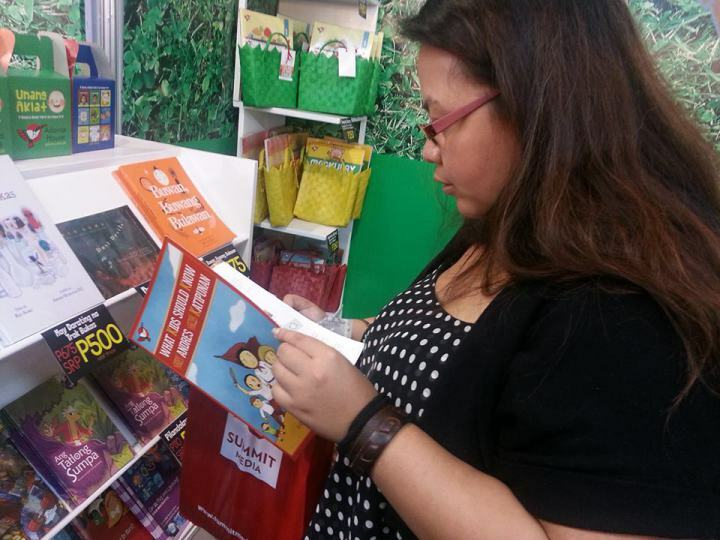 The MIBF was held last September 17 to 21 at the SMX Convention Center. We usually go during weekdays but ended up going on the 20th this year, which was a Saturday. Despite opening just two hours earlier, the place was already packed! It’s not like I don’t like people but too many people in a book haven that only appears once a year always make me feel like the books I want might no longer be available by the time I arrive. 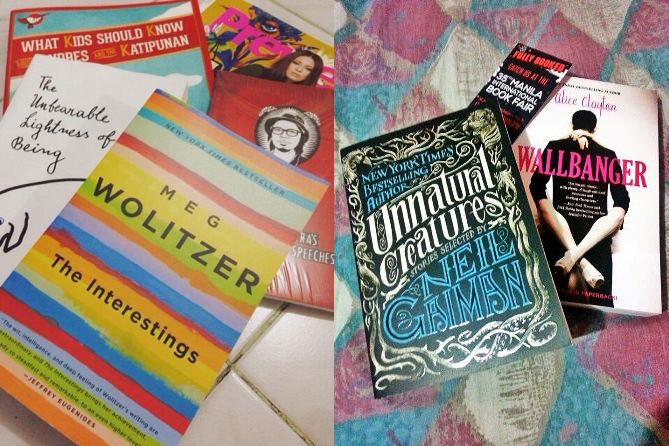 Being a self-confessed book hoarder, I just can’t let that happen. Okay, that’s just me being selfish. Sorry, not sorry? Haha. Anyway, it was also refreshing and beyond nice to see so many others engaging in the event. It shows that even though we’re now in a digital age, where everything you will ever need is on your phone and most prefer to be “paperless,” it has become second nature for us to love books in all its simplicity. It’s genuinely good to know that I’m not alone in loving books and, yes, in being a book hoarder. Upon entering the convention center, Michael and I were so excited we didn’t know where to start. Should we turn left or right? We spent a couple of minutes deciding how we were gonna walk through the event and ended up heading to the Summit Media booth first, since Michael needed a certain fitness magazine (see it’s not just books!). 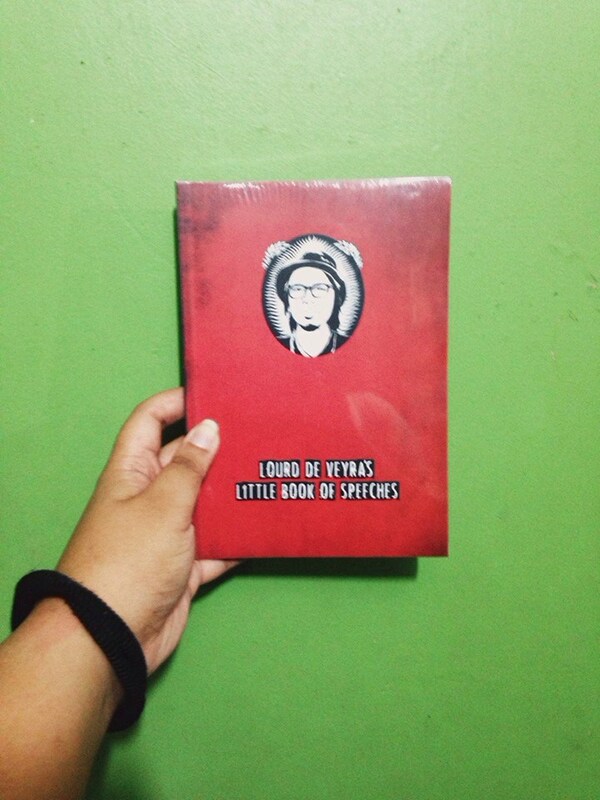 While looking for his magazine, I saw Lourd de Veyra’s latest book, Little Book of Speeches. I admit I don’t get to read a lot of Filipino books; I’ve only read like three books of Bob Ong’s and one each by Jessica Zafra, Ramon Baustista and Lualhati Bautista. Lourd De Veyra is known for being witty so I grabbed a copy. At the Summit Media booth, you get a free magazine for every purchase and this year, they made us choose the magazine, which I found charming. So many things happening at the same time makes the book fair quite chaotic, but that that’s the fun of MIBF. 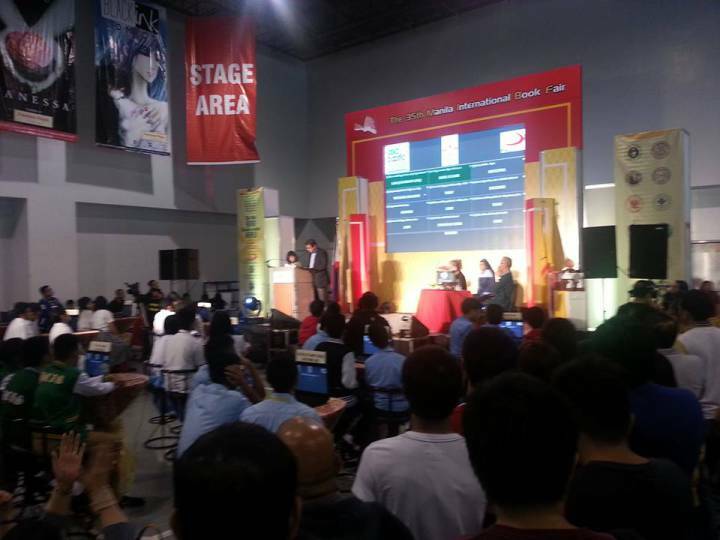 At the Stage area, the annual St. Paul Bible Quiz Bee was on. We got to the Adarna House booth and I saw Weng Cahiles’ What Kids Should Know About Andres and the Katipunan. (Read our reviewhas a Read our review here.) I picked up a copy, hoping Weng and Isa Natividad, the illustrator, would also sign it for me (ahem!). I later reviewed the MIBF schedule and found I missed Weng by around an hour. (Oh well, there’s always a next time!) I got the book for P190 and I’m excited read it. While roaming, we saw Miriam Quiambao had a signing event for her book, He Can Catch You When You Fall. Fully Booked, if I’m not mistaken, had one of the largest booths and you’d immediately see three lines at the cashier. Michael and I sort of forgot that we were in this together and went on different paths as our love for books took control of our bodies. I bought two books: The Unbearable Lightness of Being by Milan Kundera and The Interestings by Meg Wolitzer. We had a short discussion while we were there. Aside from the “Which of these should I get?” scenario everyone’s familiar with, we talked about buying a hard copy of the book you read on an .epub format that ended up being one of your favorite books. It was a definite “what-the-heck-are-you-thinking YES” for me but Michael was quite hesitant. I won him over by saying that if you have a hard copy, you have that book for life. Having it in digital format is like having a back up if you don’t want a bulky bag whenever you feel like reading it again wherever you are.